You know the quote, even though it’s misquoted for our modern ears. It’s fitting that Robert Burns was Scottish, because I fully intended to go to the Central Florida Scottish Highland Games in beautiful Winter Springs. Instead, I mostly stayed around the house Saturday. I did a lot of yardwork. My front yard is not very big, but it has a giant oak tree in it, and since it’s winter, that means leaves. I raked 5 big bags full of leaves. I made a run to Lowe’s for some stuff. I bought two grape plants (Tara and Noble Muscadine so they cross-pollinate), and little lattices for them to climb. And while I was there, I also bought a Dremel rotary tool. I’ve been looking at them for a while, and was planning on looking at them while I was there, but it just so happened that while I was there, Lowe’s was doing a demo of how to use a Dremel on pinewood derby cars. Alexander’s pinewood derby for cub scouts is coming up in a few weeks. So this weekend, I helped him cut down the block and did the rough sanding. He did the finishing sanding, and got it painted, etc. Alexander also finished up his model of a Magellanic penguin for school that he made out of clay and painted. And in between projects, he also played with the neighborhood kids. I’m not sold on the neighborhood kids. The one boy his age is a bit of a jerk and a minor bully (for instance, he took his sister’s bike, and rode it down the street and made her chase him, and he invited Alexander over to play video games, but didn’t give Alexander a turn). The girls are friendlier. Saturday night, my brother and sister-in-law were off work so we planned a game night and pizza. We were going to do homemade pizza, but my brother got home later than we expected, so he just picked up some pizza on the way. But we had fun playing the Wii – Super Mario Brothers and Lego Rock Band. So that was Saturday, and I told myself that we could go to the highland games on Sunday. But that didn’t happen either. We worked on the pinewood derby car, got some mulch for the planters at Home Depot and went grocery shopping. And then I mulched the planters. I also got some wood for a coffee table base. My dad made me a coffee table for Christmas that looks like an oversized paint palette, but the legs weren’t sturdy, so I’m coming up with something different. I may show that some other time. I have an idea for another little project. I have a little lamp that had the shade break in one of my moves before I bought the house. I want to do something fun with it. My idea is to make a little balsa wood box frame, and use the cover from Strathmore watercolor paper pads. When the light is on, it’ll look rally cool shining through. The paper is expensive though – too expensive for me to buy 3 more pads (I already have one) just for their covers. I made an awesome dinner. I got some cheap boneless skinless chicken thighs at the store. I marinated them for several hours in Newman’s Light lime salad dressing (which I love). And then I baked them at 450 for 45 minutes with some SunLite potato wedges. The chicken was so good and tender, and the potatoes were perfect with just a little bit of salt. I love simple meals that taste awesome like that. And now I’m watching a marathon of Storage Wars on A&E. It’s not as cool as American Pickers, but better than Pawn Stars. I like these shows… It’s like Antiques Roadshow, but with some humor and characters. I like Antiques Roadshow, too, though. Oh, speaking of Antiques Roadshow, they were showing episodes filmed in Miami this week, and someone brought in some posters from the 1950s from Puerto Rico. They are awesome! Check it out at http://www.pbs.org/wgbh/roadshow/archive/201003A51.html. They have the video online. The one I really love is a movie poster by Carlos Rivera for Nenen de la Ruta Mora. Hopefully I’ll have more interesting stuff to share in the next blog! Thank you for reading, though! In 14 easy steps. 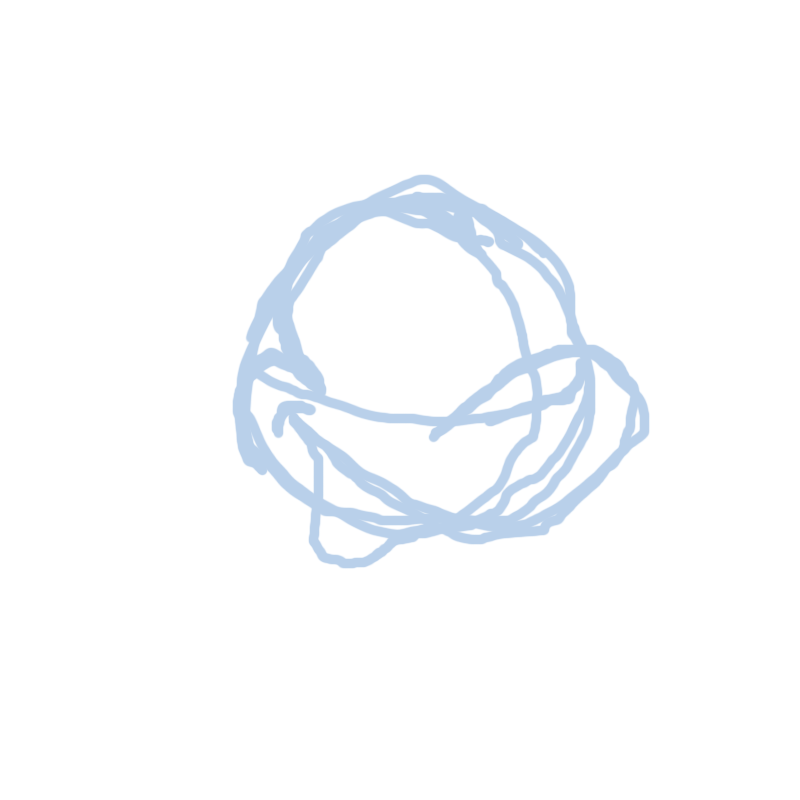 I could have done this better in pencil, but I used the clunky trackpad on my laptop with my fat finger. Mickey Mouse starts with a circle. The key here is not to be too precise. 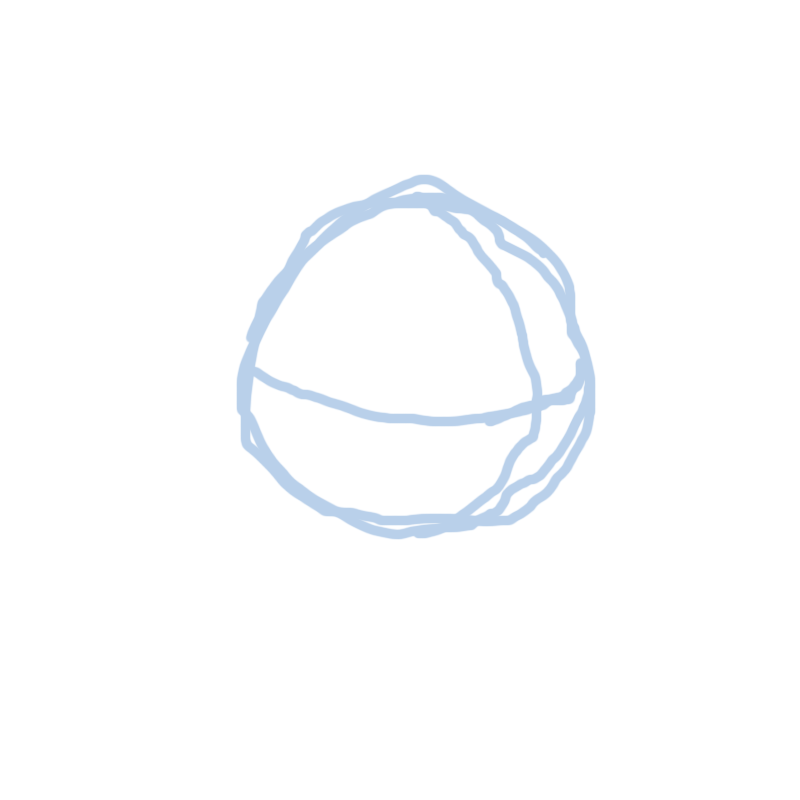 Draw with your whole arm, not just with your hand. Be loose and free and start out drawing softly. This is art, not math. 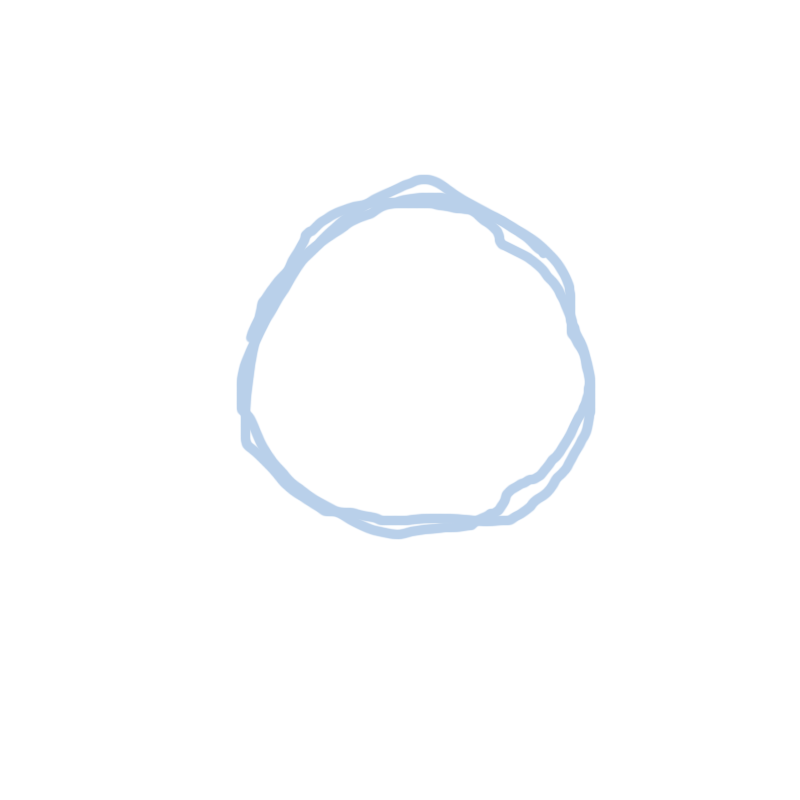 Go over your circle until it’s circle-y. You will go over it with a darker line later, and you can erase the parts you don’t want. Once you have your circle, you’ll draw guidelines. 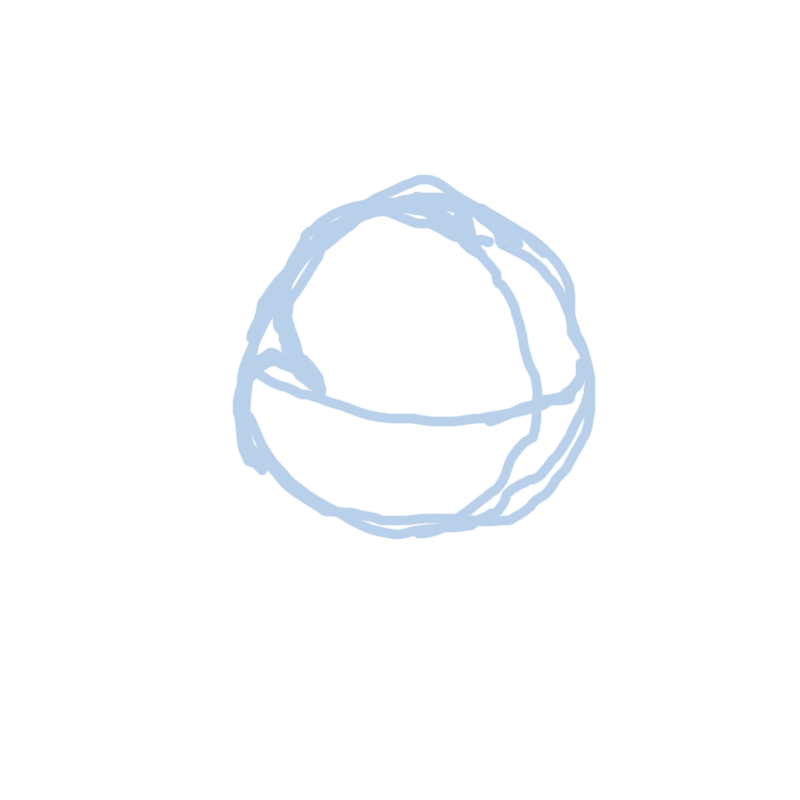 From a circle, it becomes a ball. These help give Mickey some shape, and show you which direction he’s facing. This is subtle. 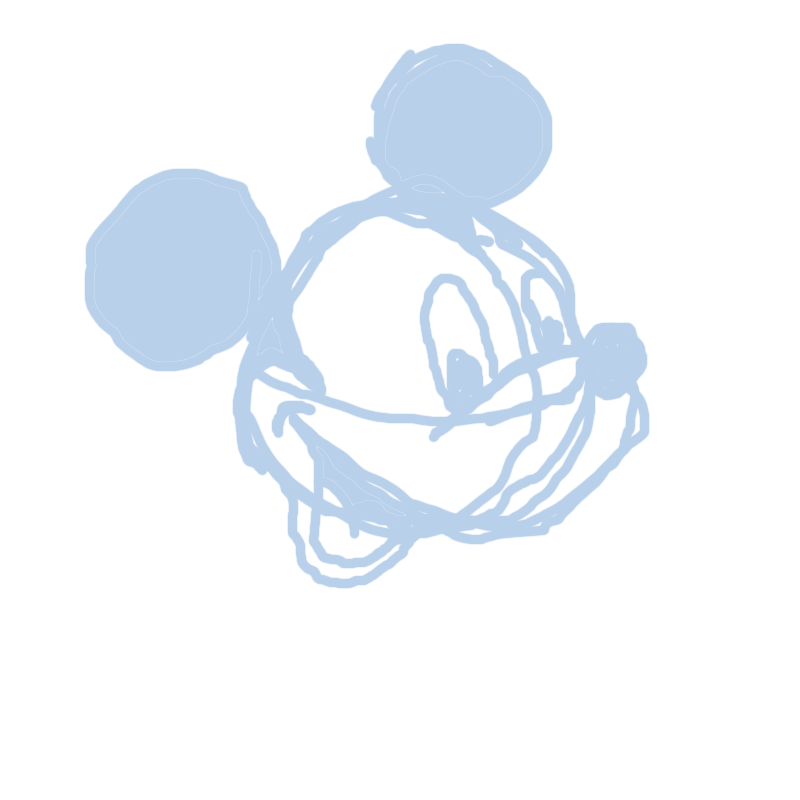 Draw Mickey’s widow’s peak. It’s really just a little V shape that curves, following the vertical guideline. The left side of the V follows the back edge of the head down to the cheek. 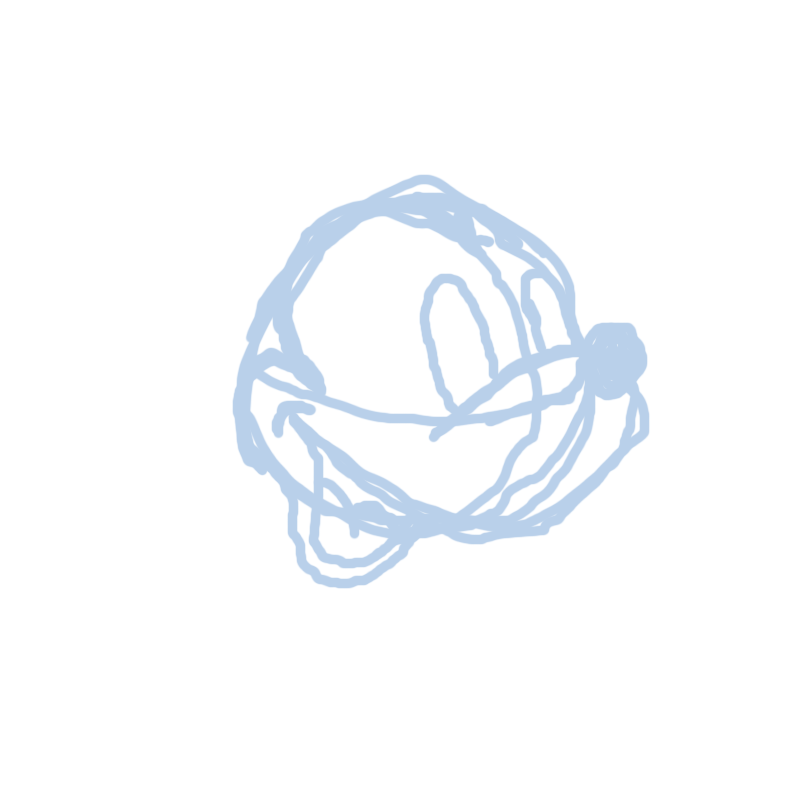 This makes Mickey’s “mask.” Then below the mask, you do another semicircle shape for his cheek. 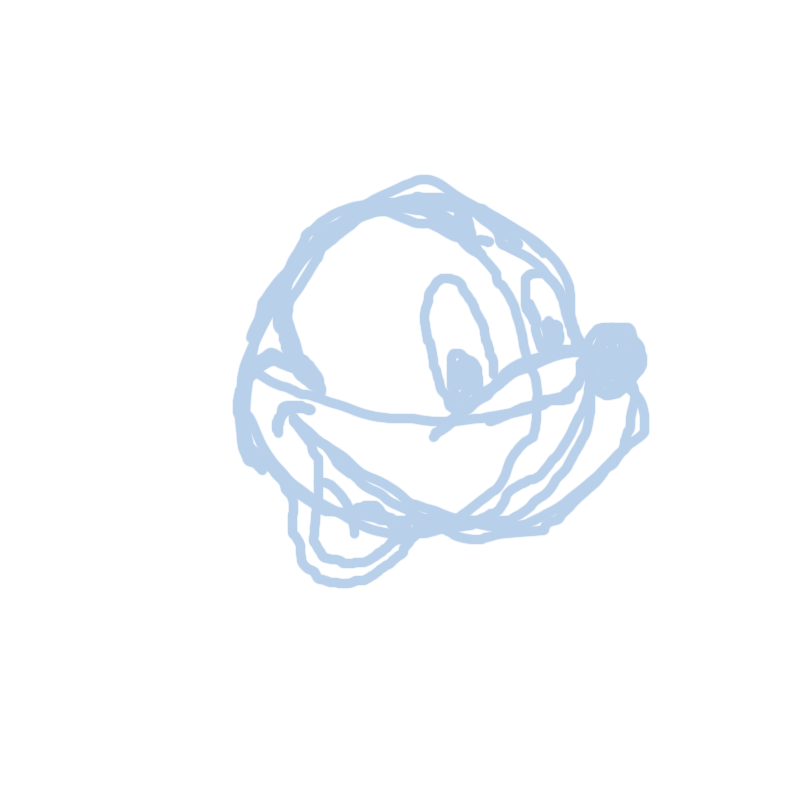 Now we’ll draw Mickey’s muzzle. The muzzle is what his nose sits on. It’s kind of a loopy comma shape. You don’t want to make the curve too big. The bottom of the comma shape is his lip line, so that will tuck into his cheek. The next step is a small one. Just make a little curve where his lip line goes into his cheek, like his smile is pushing it up. And now the mouth… start at the back of his mouth where the lip line meets the cheek, and swoop down in a curvy motion into a U shape and back up to meet the lip. The bottom lip starts by following the circle line of the head until it gets to the mouth, then traces around the mouth. Now put the tongue in his mouth. 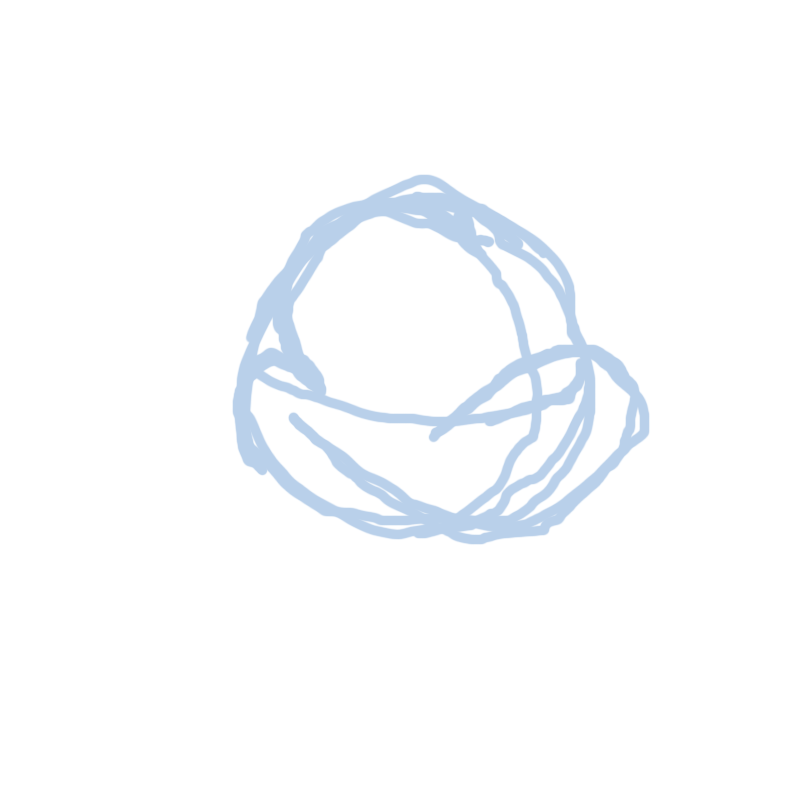 It’s like the top of a heart. Now let’s put in his nose. It’s kinda oval shaped and sits out on the end of his muzzle. Our next step is the eyes. The shape of the eyes follow the shape of the face. You can use the vertical guideline for reference. You want them to look like the wrap around the curve of his head. And the nearer eye is slightly larger than the other. And the pupils… Same kind of concept inside the eye. Mickey’s ears at this perspective have one at the back of his head and one on top. 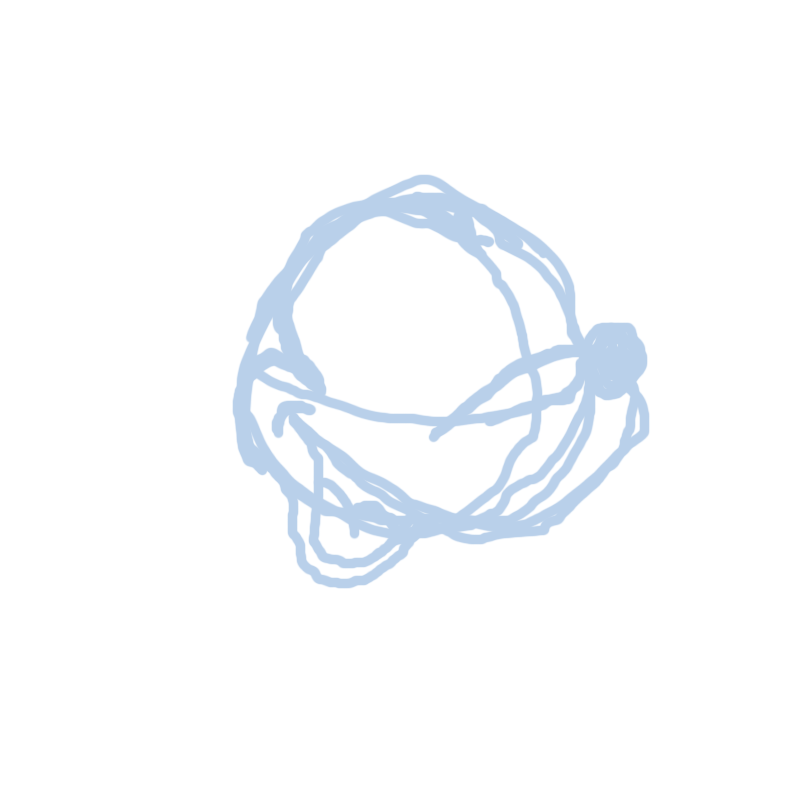 Mickey’s ears when he’s animated tend to move around his head depending on where he’s looking. Both are always visible. 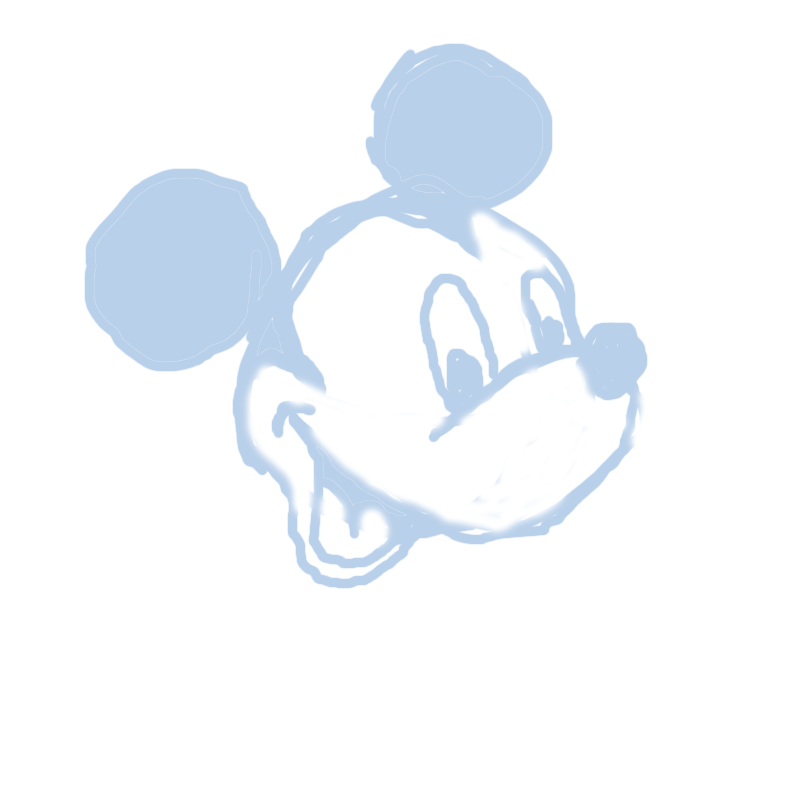 For the size, if Mickey’s head were a quarter, his ears would be dimes. You can fill in the dark parts now – ears, the back of the mouth above the tongue, and the widow’s peak and the top of the cheek. 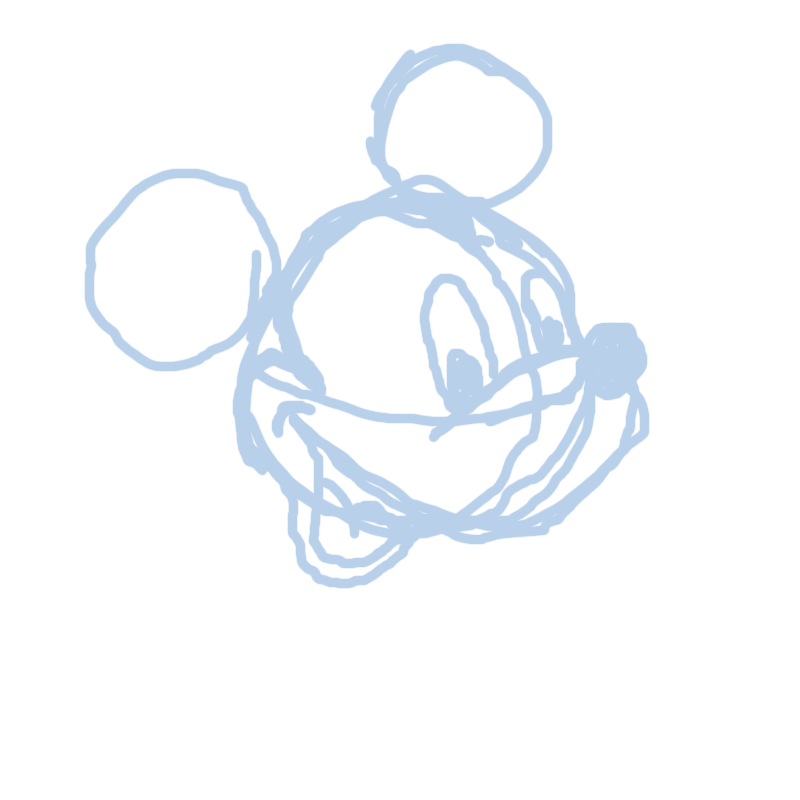 And then clean up the lines by erasing the parts that aren’t Mickey Mouse. 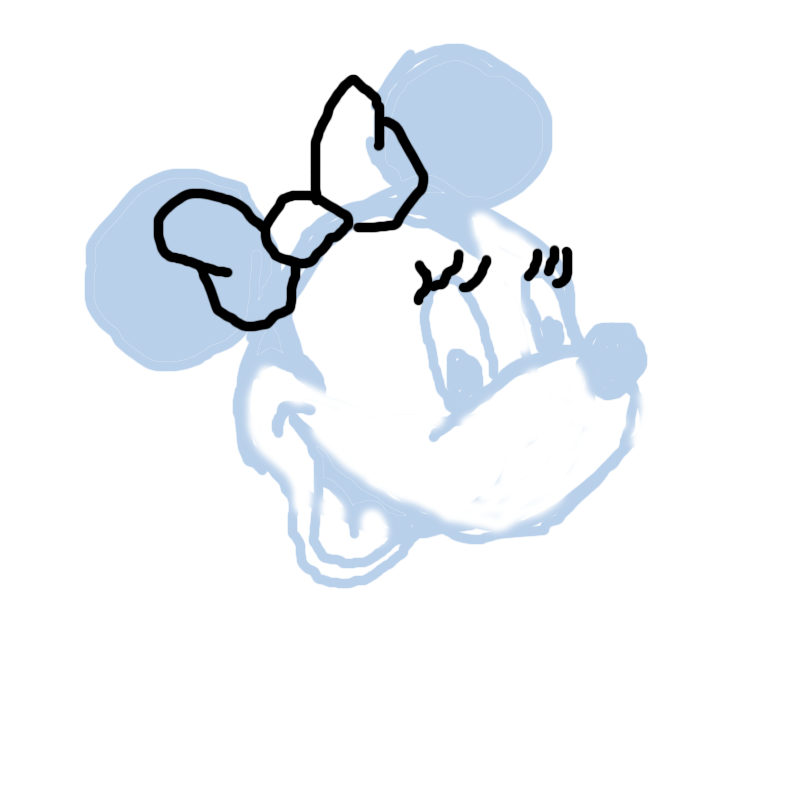 And if you wanted Minnie Mouse… Just add some eyelashes and a bow. Here’s all the steps in a slideshow so you can step through them! This weekend was a many varied one. Friday night started out with baking monster cookies – chocolate chunk, M&Ms and peanuts in your standard oatmeal dough. I scorched the bottoms of one set – I was baking two sheets at a time, one on stoneware and one on a metal sheet. The metal sheeted ones got a little too done by the time the stoneware ones finished. Still edible and yummy though! I declared Saturday a no-TV day for us (though Alexander and I did watch a few YouTube videos together). The highlight of Saturday was getting to spend time with Karmen (@familysizedfun, http://familysizedfun.blogspot.com/) and her family for her daughter Madee’s Dora-themed 3rd birthday. It was good times. And I got to meet @Lins610 and @Japster24 there, too! I’m sure Karmen will blog the details after things settle down a little. This morning, Alexander worked on a school project. He has to make a 3D model/diorama of a Magellanic penguin, which he made out of clay. It’s drying now, and next weekend, he’ll paint it. We went to lunch at Downtown Disney. We were going to go to the new chicken place there (Pollo Campero? ), but when we went in, we weren’t really feeling it. There weren’t many other guests eating there either – the McDonald’s that it replaced was always busy, so maybe that was a bad move. After I dropped Alexander off at his mom’s this afternoon, I headed out to the other side of town to check out roller derby with the Orlando Psycho City Derby Girls. The Serial Thrillers lost to the Sunnyland Slammers, but it was a close match, and a lot of fun to watch! Tonight was a Harry Potter themed night, so there were some people dressed up in costume as wizards and such, and the half time relay was rollerskating on broomsticks. I had a good time. Admission was $10 with a school supply that goes to A Gift for Teaching, an organization that I adore. I’ll go again. I’m not a photographer, I just play one on the internet. I am not an expert photographer by any means. But I do think that if you take enough pictures, eventually, you’ll come out with some good photographs. So here are pictures that I rather like. I wanted them all in one place, so I made this album and slideshowed it. I left out most of the portraiture of my son and things that are too themeparky (though there is one castle shot). Now, I have a call to action for you who are reading this. These are some of the favorites pictures I’ve taken. I’d like YOU to share with me and my readers links to some of YOUR favorites that YOU have taken in the comments. I’d love to see them. Coming up in Orlando on January 15th and 16th, 2011, are the 34th Annual Central Florida Scottish Highland Games. Alexander and I have been the last couple of years, and it’s been a lot of fun, even though we are not Scottish. I think we’ll try to go again on the 15th. In addition to the games themselves, which include caber tossing, there’s food and entertainment and activities for the kids. It’s a lot of fun. Check out some of my pictures from years past. Over the weekend, I was given a new couch. It is like new, in perfect shape. It was in a vacation home that was sold furnished, and the new owners didn’t want it. They offered it to me. It’s a sleeper-sofa/hide-a-bed/sofa-bed, which is great if I have company come and visit. The only problem? It is ugly. I’m going to show you some pictures. 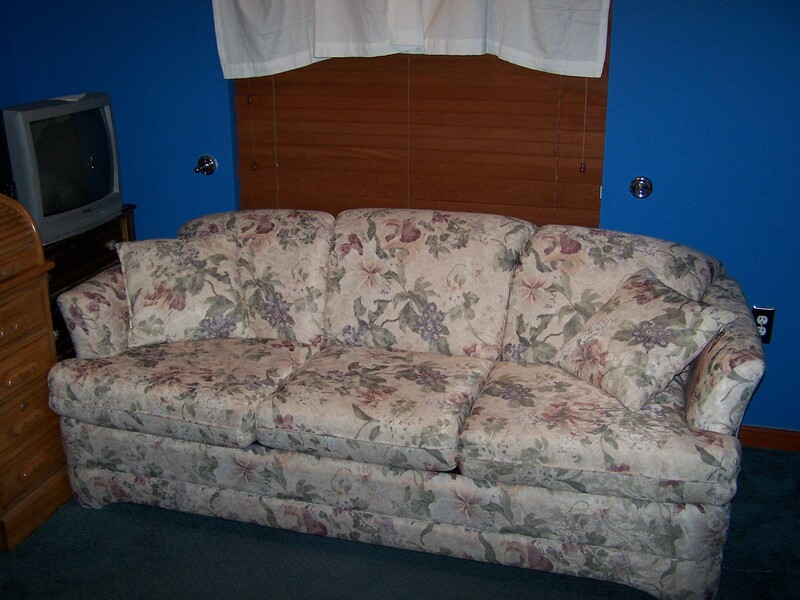 DISCLAIMER: Viewers assume full risk for viewing this couch. May cause nausea, vomiting, and blindness. Owner cannot be held responsible. Note that it doesn’t really fit in this room right now. It’s where I want it to go, though. I need to rearrange the furniture and then it should be fine. I believe this flowery pattern is called Florida Emetic. But the flash isn’t on in that picture, so you don’t really see it in it’s full glory. Should I try a slipcover? It’s a hideabed, so slipcovers for them are hard to find, and they’re pricey. Would a slipcover fit those cushions? 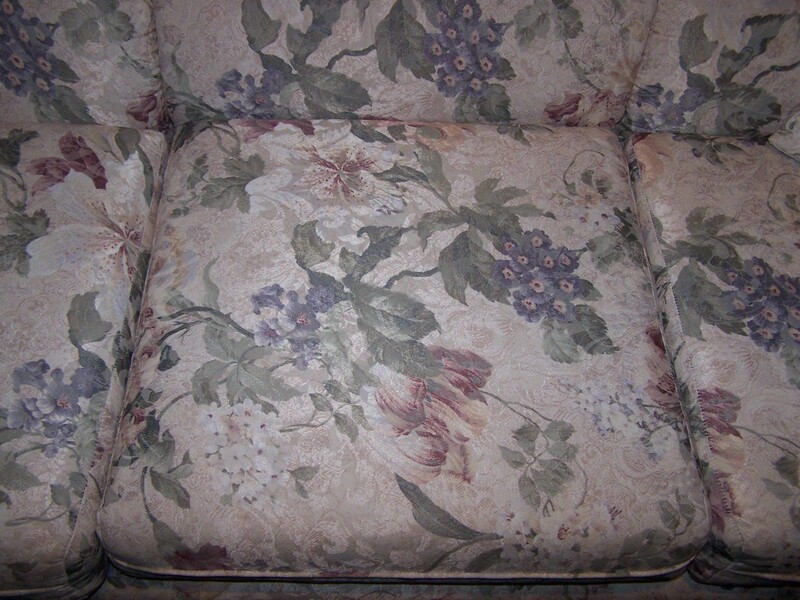 I want to reupholster it. Do you think I can do it myself? I’ve seen like every episode of Trading Spaces, including Trading Spaces: Boys vs. Girls, so I know how to reupholster things on a budget to make things look new. Do you think I can do it? The back “pillows” of the couch are stitched, not removeable. Can I sew new cushion covers for those L shaped ones? And what color goes with the colors in the room? It’s a bright blue on the walls and rich wood molding, closet doors, etc. that all match those blinds. The white “curtains” I picked just because they were neutral for now. Those can be redone, too. Do I have another option? Could I paint the sucker? 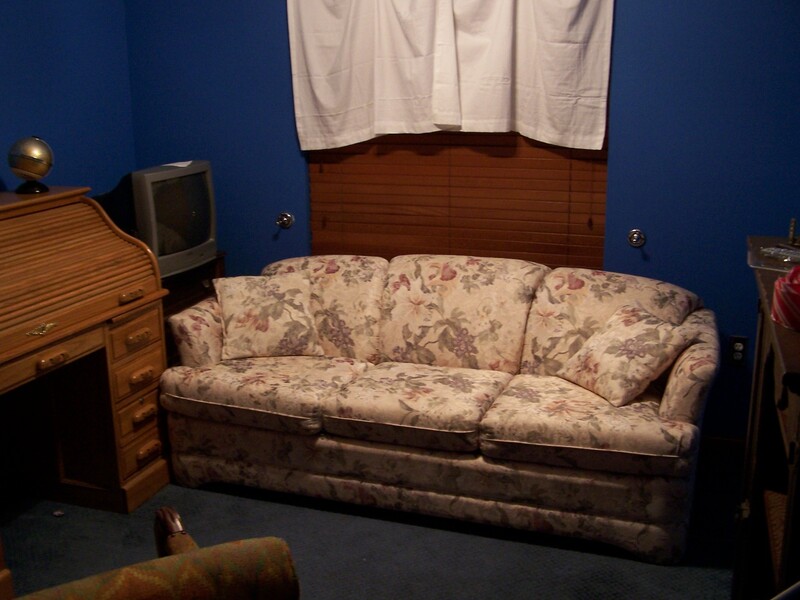 And if you happen to be good at reupholstering sleeper-sofas… I have a place for you to stay if you’ll come help! This morning on the way into work, I was listening to the news on NPR, and they were talking about the inauguration of Rick Scott, Florida’s new governor. They said one of his first acts may be to eliminate the budgets for public libraries in Florida. This sounded crazy to me, so I looked it up. 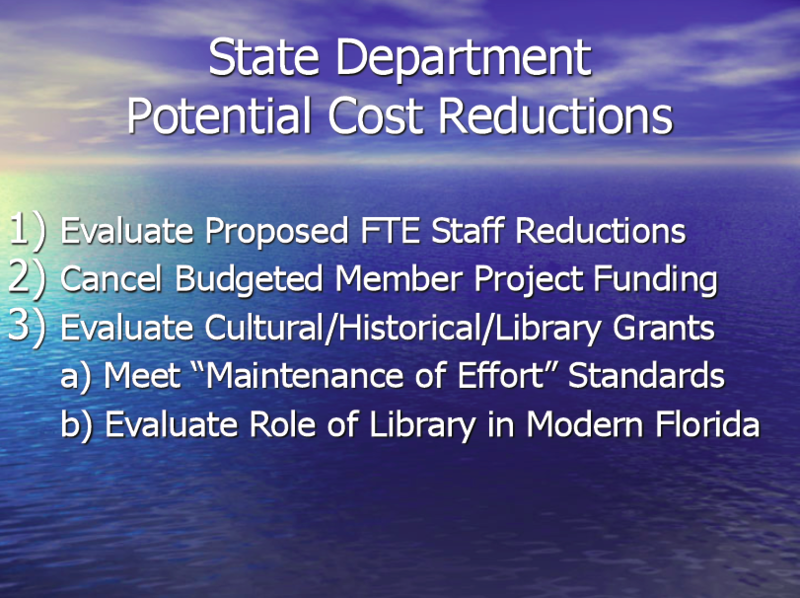 I think looking into the grants and evaluating the role of a library in modern Florida is a great thing. But to do that evaluation as a cost reduction methodology is very wrong. There Florida Library Association has a good rebuttal to the proposal at http://flalib.org, focused on the value of libraries.  encouraging early learning by helping very young children learn to read and helping parents as their child’s first teacher. This is a good article from the Palm Beach Post. Librarians contend that library use has skyrocketed since Florida’s economy hit the skids more than two years ago. Patrons are using library computers to search for jobs and apply for benefits because so many government services are accessible online, said Florida Library Association executive director Faye Roberts. A recent report found that every dollar spent on libraries returns $8.32 to communities, Roberts said. She said evaluating libraries would be a good thing. This year, I visited the Orange County Public Library many times and read dozens of books. My son used their computer. We checked out films. We did research. We found projects. And libraries aren’t just about the materials within! The library can serve as a community center. At the library you will find book clubs, computer classes, art exhibits, music programs, storytelling, citizenship classes. Public libraries are vital parts of the community and the culture. I hope Rick Scott evaluates the role of libraries in modern Florida and sees their importance and continues to support them, and even finds a way to increase their budgets.